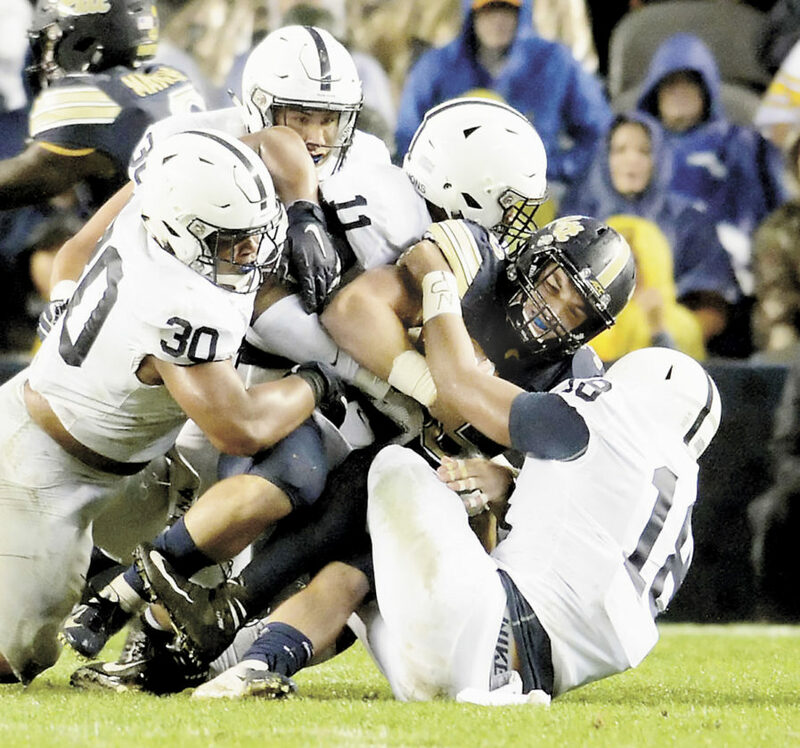 Penn State’s defense offered little to Pitt in Saturday’s rivalry game, holding the Panthers to one first-quarter touchdown despite Pitt rushing for more yards in the game. That relatively pedestrian effort, however, shockingly was plenty good enough for No. 13 Penn State to embarrass Pitt, 51-6, before a sellout crowd at Heinz Field. 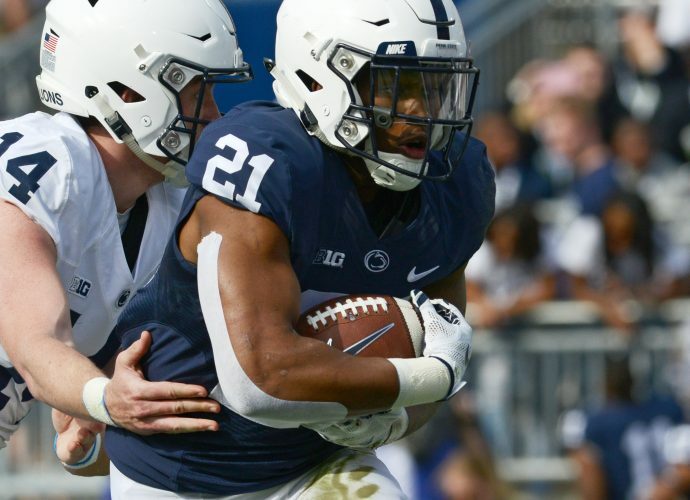 “It was a good team win, a really good team win,” Penn State running back Miles Sanders said. Usually when that happens, the coach reconsiders and decides to take the points for the lead. Narduzzi, however, not only decided to go for it, the play call was for a simple run to the right that Penn State easily sniffed out and shut down. The significance of that fourth-down decision, play call and defensive stop cannot be overstated. On Pitt’s next possession, punter Kirk Christodoulou dropped the snap, and Jarvis Miller recovered for Penn State at the Panther 35. Sanders ran for 21 yards on the next play, then Trace McSorley hit K.J. Hamler on a 14-yard TD pass for a 14-6 lead with 26 seconds left in the half. Penn State didn’t score on the first possession of the second half, but more importantly, Pitt started at its own 15 and went backward 3 yards before punting. That strategy helped Pickett early on as he had some big gains on the ground. But once the Panthers fell behind and Penn State focused on stopping the run, Pickett had no answers with his arm. Pitt was flagged for holding while Pickett was trying to throw from the end zone on its next series, resulting in a safety and 23-6 Nittany Lion lead. The 51-6 outcome was not the largest blowout in series history. That was a 59-0 win in 1903, and the Lions had a 65-9 win in 1968.